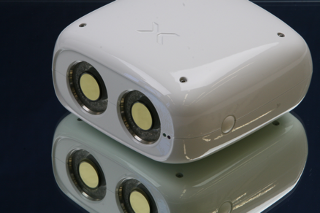 AXIOS 3D® optical 3D measuring systems – often also called tracking systems – don’t just impress with good looks. Each model offers a myriad of desireable features: a Gigabit Ethernet interface allows operation of 3D tracking systems in networks. The synchronous operation of a number of tracking systems is possible via an external trigger, and stable calibration is guaranteed for two years. 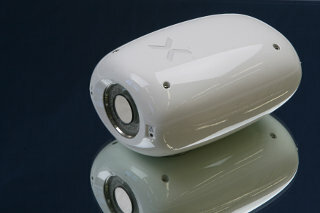 Plus: direct access to the cameras’ image data; the dream of every developer. Find the best-fit for your tracking system in the map below. Alternatively (i.e. for mobile devices), you can use the selection further down. 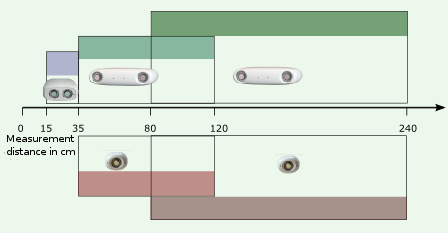 Focal length, base and resolution are freely combinable, offering a wide range of configuration options. CamBar B1 is the 3D tracking system for measuring tasks in small measurement volumes with short distances between object and tracking system. 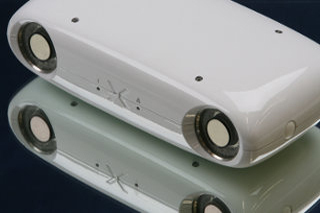 The optical stereo measuring system presents the most accurate of all AXIOS 3D® systems. When it comes to a highly efficient combination of compact size and high accuracy, there simply is no competition. Measuring tasks in medium to large measurement volumes are best conducted with the AXIOS 3D® stereo measuring system CamBar B2. The CamBar B2 is available in two versions: CamBar B2 C4 and CamBar B2 C8. Each variation is optimized for a specific measurement volume: from short measuring distances of approx. 35 cm to up to 2.4m. The C4 offers an exceptionally wide measurement area. The optical tracking system SingleCam allows 3D tracking with just one camera. If low weight and high mobility in limited spaces are important criteria, SingleCam C8 offers a perfect solution. AXIOS 3D tracking systems belong to the group of optoelectronic tracking systems. Measurement with the systems is based on photogrammetric methods. Click here for more information.